Rats are heavy snoozers. They sleep a lot and they sleep deeply. Trying to wake up yours when she's happily snoozing away can result in a nasty bite if you startle her in the process. It might be annoying that your pet rat has a different sleep schedule than you have, but take heart knowing she'll probably wake up on and off throughout the day to keep you company. During the day, rats tend to sleep off and on, depending on how much is going on in their environment. Rather than sleeping for hours on end, a rat might nap for four hours or so, then wake up to play or groom herself, then go back to sleeping some more. Rats in groups or pairs might sleep less, since they have a companion to spent time with -- lonely rats might sleep more because of boredom. Rats are nocturnal creatures, which means they tend to sleep during the day and be awake at night. They usually wake up when the sun starts to go down; they'll be ready to play by dusk. If you wake up early -- say, around sunrise -- you'll see them moving up and about as well. According to a study published in the "Physiology & Behavior" journal, albino rats spend about 76 percent of daylight hours sleeping. The study looked at 20 albino rats and recorded their sleeping and waking times between 8 a.m. and 8 p.m. Of those 12 hours, rats snoozed more than nine hours. The rest of the time they were awake and active, awake and resting, or half-awake. In the wild, rats sleep under cover to reduce exposure to predators. Pet rats have the same instinct, so you should provide spaces for your pet rat to hide in at snooze time. Plastic houses or igloos, tubes, a hammock made especially for rat cages, or some tunnels made of plastic or cardboard are all good choices. 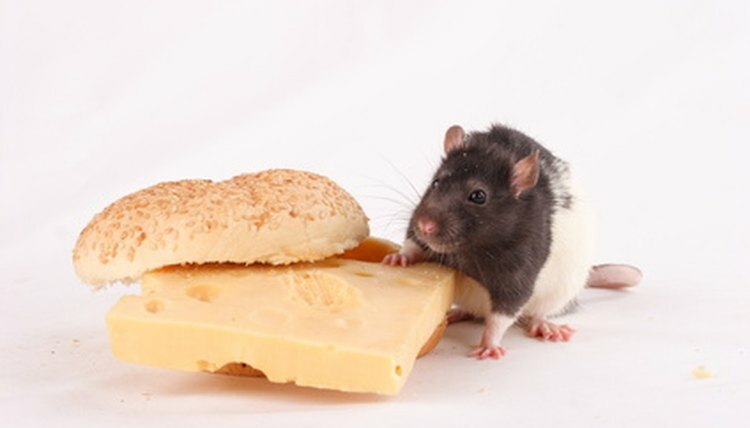 Plastic such as a butter container is a bad idea, since the rat will ingest the plastic.